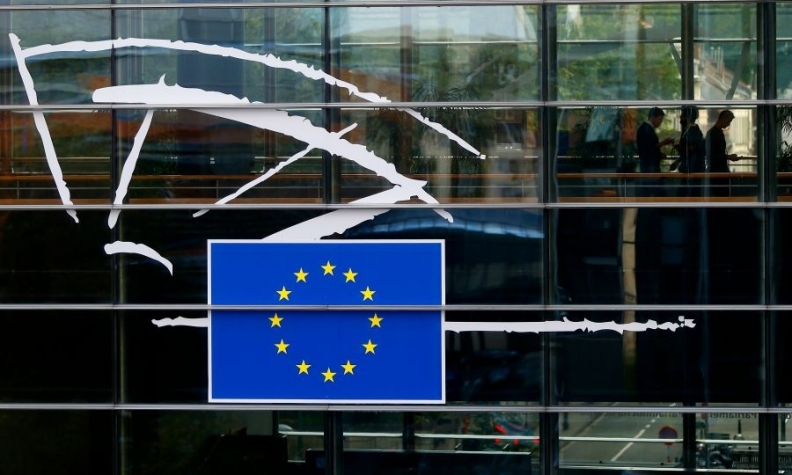 BRUSSELS -- EU ministers agreed on Monday on draft new rules for approving cars for sale in order to prevent a repeat of the Volkswagen Group emissions scandal and giving the European Commission the power to fine cheating manufacturers directly. The rules, which still have to be discussed with the European Parliament before becoming law, are a response to the 2015 scandal when the German carmaker was found to have used software to cheat U.S. diesel-emission tests. Under the present system, national bodies such as Germany's KBA authority, have the power to clear new vehicles for the whole European Union and can also revoke those licenses. The new rules will allow other national authorities to review such decisions and also give the European Commission the power to carry out spot checks and fine manufacturers if they are found to be cheating. German junior economy minister Matthias Machnig told fellow ministers at the meeting his country was in favor of strengthening oversight, but added he wanted assurances on how to avoid a conflict between different agencies. Since the VW scandal, investigations of various other carmakers revealed on-road nitrogen oxide (NOx) emissions as high as 15 times the regulatory limits, as well as the use of devices to mask real vehicle emissions. Ministers agreed by a qualified majority to back the rules, the Maltese presidency of the European Council said. Earlier this month, member states agreed a draft text under which the European Commission would be allowed to impose fines of up to 30,000 euros ($32,613) per vehicle on manufacturers who cheat the system.